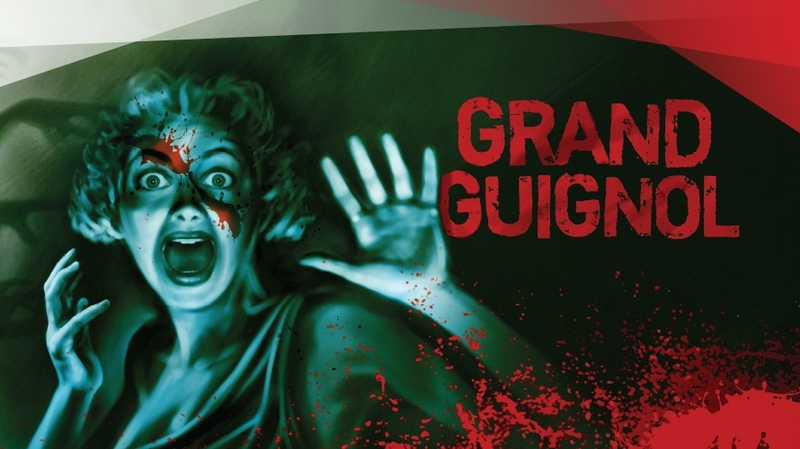 Grand Guignol is a revival of 2009’s enormously successful Theatre Royal Plymouth production and will continue on to a five week run at the Southwark Playhouse, London. Carl’s subsequent play Horse Piss For Blood was also a big hit in The Drum in 2012. …a rollercoaster ride on which you’re never quite sure what is going to happen next, or whether to laugh or shudder… but what fun! Trained: Guildhall School Of Music and Drama. Theatre includes: My Night With Reg (Donmar Warehouse) Twelfth Night (Lyric Hammersmith/ Filter/UK Tour); Hamlet (Rose Theatre); Midsummer Night’s Dream (Lyric Hammersmith/Filter/Tour); Three Sisters (Lyric Hammersmith/ Filter/UK Tour); Ghost Stories (Duke Of York’s); Chekhov in Hell (Soho/ Theatre Royal Plymouth); The Story of Vasco, Strange Orchestra (Orange Tree Theatre); She Stoops to Conquer (No.1 Tour); Amadeus (Wilton’s Music Hall); A Midsummer Night’s Dream (West End); The Dumb Waiter, The Turn of the Screw, The Owl Who Was Afraid of the Dark, Master Harold and the Boys (Bristol Old Vic); The Secret Garden (Tobacco Factory); The Mill on the Floss (Nottingham Playhouse); The Magic Toyshop (Shared Experience); The Lion, the Witch and the Wardrobe (RSC); The Sonnets of Willie Hughes (RSC) and Peter Pan (Royal National Theatre). TV includes: Five Years; Cold War; Alice in Wonderland and Gimme Gimme. Film includes: As You Like It and The Magic Flute. Radio includes: The Late Mr Shakespeare; The Anonymous Venetian; Konfidentz; A Long Silence and the Crux. 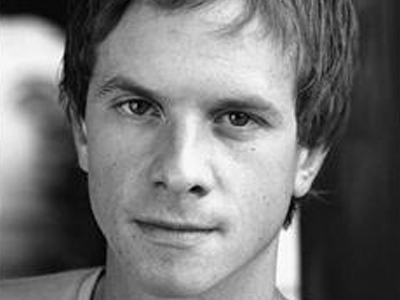 Jonathan provides the voices for Bill and Ben on the animated series of Thomas The Tank Engine. Theatre Work includes: Productions at the National Theatre: The Captain of Kopenick, Private Peaceful, England People Very Nice, War Horse, Tales from the Vienna Woods. For the RSC: A Midsummer Night’s Dream. Other recent theatre: Private Peaceful (Number One Tour), The Water Engine, Six Characters in Search of an Author (Young Vic), Billy and the Crab Lady, Jump My Malinoff, Jump!, A Woman of No Importance (Royal Exchange), Trade and Blue Bird (Royal Court). TV Work includes: Whitechapel, Sherlock, Hotel Babylon, Torchwood, Sinchronicity, As If, Life as We Know it, Making Waves, Holby City, Murder City, Silent Witness, Law and Order. Film work: Tea with Mussolini, Private Peaceful. (Propeller); The Reduced Shakespeare Company’s The Complete Works of William Shakespeare (Abridged) (Leicester Square Theatre, UK Tour and Edinburgh Festival); Chariots of Fire (Hampstead Theatre and West End); Theatre Uncut (Southwark Playhouse and Soho Theatre); The 39 Steps (West End); A Midsummer Night’s Dream (Nagano, Japan); Guns or Butter (Union Theatre); Charity Wars (Pleasance Islington); Sentenced (Union Theatre); Techniques of Breathing in an Airlocked Space (Old Red Lion). 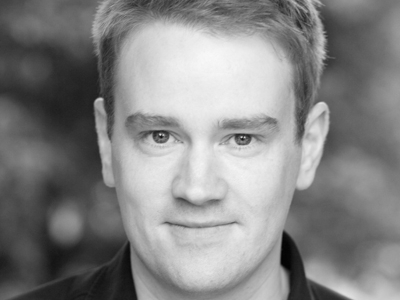 Matthew has also performed in rehearsed readings and short plays for nabokov and Paines Plough. Robert Portal’s most recent theatre work includes: This Was A Man (Finborough Theatre), A Little Hotel on the Side (Theatre Royal Bath), The Doctor’s Dilemma (National Theatre), Thirty Nine Steps (West End), The Common Pursuit (Menier Chocolate Factory), Tom and Viv (Almedia). For The Royal Shakespeare Company: The Rivals, Henry IV, The Transit of Venus, Love’s Labour’s Lost, The Country Wife, The Venetian Twins and A Christmas Carol. For the Royal National Theatre: The Invention of Love and Ajax. Private Lives, The Deep Blue Sea (Theatre Royal Bath), Calico (Duke of York’s), Noises Off (Piccadilly), Venus Observed and Cain (Chichester Festival Theatre). Television credits include: The Fetid Little Girl, The Only Way is Wessex, Psychoville, Ashes To Ashes, In Love With Barbara, Men Are Wonderful, The Amazing Mrs Pritchard, Hogfather, Surviving Disaster, Rosemary and Thyme, Pharaoh and The Great Belzoni, The Queen’s Sister, Distant Shores, The Thick of It, Clocking Off, The Queen’s Lover, Bye Bye Baby, The Armando Ianucci Show, Simisola, The Merchant of Venice, Julia Jekyll and Harriet Hyde, Whoops Mr Thornton is a Moron, Embassy, The Painted Lady. 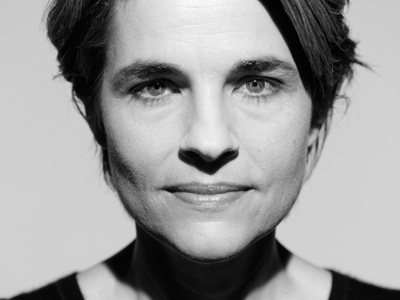 Film credits include: Kids in Love, Mr Turner, Welcome to the Punch, The Iron Lady, My Week With Marilyn, Mother’s Milk, The Kings Speech, You Will Meet a Tall Dark Stranger, Stiff Upper Lips, Mrs Dalloway, Heroes and Villains, In your Dreams and Meet, Pursuit Delange, United we Fall. Theatre includes: Abigail’s Party (UK Tour), Entertaining Angels (Theatre on the Bay, Capetown), Chekhov In Hell (Soho Theatre / Theatre Royal Plymouth), An Ideal Husband (Washington DC), King Lear, Romeo And Juliet, The Rivals, A Comedy Of Errors, A Midsummer Night’s Dream, The Zenobia, The Changeling, All’s Well That End’s Well, The Beggar’s Opera (RSC), The Rivals, Dangerous Corner (Chichester / West End), Saturday, Sunday, Monday and The Seagull (Birmingham), A Midsummer Night’s Dream, Macbeth, The Boys From Syracuse (Regents Park), The Tempest (Manchester Royal Exchange), Of Mice and Men (Nottingham), Romeo and Juliet (Chester) and You Never Can Tell (Colchester). Television includes: Peak Practice, Tales from the Old Bailey, A Murder Of Quality, Robin Hood, Highlander. Film includes: Love Lies Bleeding, Seeing Things, A Midsummer Night’s Dream. Radio includes: Something Understood (Radio 4). 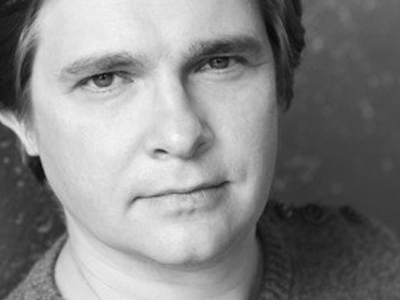 Andy Williams’s theatre work includes: Grand Guignol (Theatre Royal Plymouth/Southwark Playhouse), The 39 Steps (Criterion Theatre), A Christmas Carol (Royal Theatre, Northampton), Ben Hur (Watermill Theatre), War Horse (New London Theatre), Judgement Day (Almeida Theatre), Noel Coward’s Brief Encounter (David Pugh Productions), Russian Roulette (The Featherstonehaughs & the Cholmondeleys), A Matter of Life and Death (National Theatre), Nights at the Circus (Kneehigh), The Play What I Wrote (David Pugh Productions), Perfect (Contact, Manchester), Perfect Pitch/April in Paris (Haymarket, Basingstoke), Perfect Days (Library Theatre, Manchester), Peer Gynt/ Romeo and Juliet (National Theatre), Grimm Tales (New Vic Theatre, New York and Sydney Festival), As I Lay Dying/Twelfth Night/More Grimm Tales/Jungle Book (Young Vic), A Comedy of Errors (RSC, UK and International tours), Bouncers (Hull Truck). 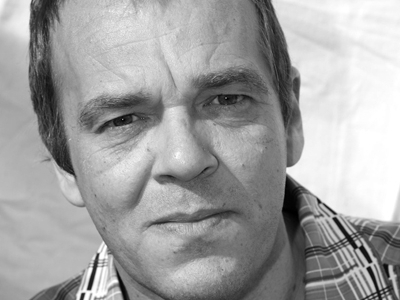 Television credits include: Heartbeat, Crossroads, Waking the Dead, Doctors, Wire in the Blood, Ghost Squad, Grown Ups, Midsumer Night’s Dream, The Bill, London’s Burning, Casualty, Touching Evil, Brookside.